Weekdays: Fire Life Safety Director (FLSD) Component #2 Non-Fire – NY Fire Consultants Inc. 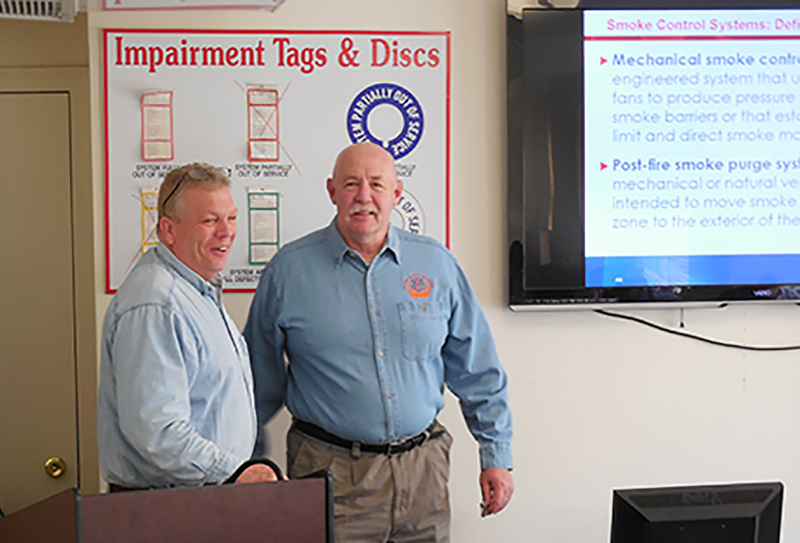 This is Component #2 (Non-Fire) of the New York City Fire Department (FDNY) accredited course for Fire and Life Safety Director (FSLD). The course provides 11-hours of instruction across two classes for the weekday sessions. To completed the requirements for Fire and Life Safety Director (FSLD) Component #1 (Fire Emergencies) and Component #2 (Non-Fire Emergencies with Active Shooter/Medical Emergencies) must also be taken. Fire and Life Safety Director (FLSD) is required in any commercial building classified as Group B and mixed occupancies by the NYC Department of Buildings during regular business hours. The an FLSD must hold a valid Certificate of Fitness and is responsible to implement a fire safety and emergency action plan, training emergency action personnel and other duties related to emergency action plan. Any building classified as Group B (Office Building) and Group R-1 (Hotel) occupancies by the NYC Department of Buildings must have an Fire and Life Safety Director on site during regular business hours for Office Buildings and 24/7 for Hotels. An Fire and Life Safety Director must hold a valid Certificate of Fitness and is responsible to implement a fire safety and an emergency action plan, train fire safety personnel and other duties related to emergency action plan. Download the EAP Director application.